As I was going through my closet recently, I realized that I did not have many pairs of sandals. 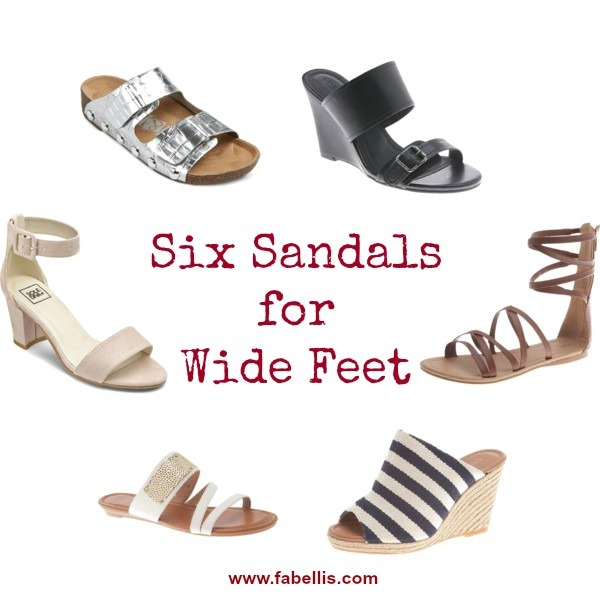 Since I have wide feet, I knew I was in for a bit of a search when it came to sandals, but thanks to Target, Torrid, Simply Be and Lane Bryant, I was able to find some great sandals for affordable prices. In my search for summer sandals, the six I found below were perfect for work, an evening out or weekend fun. Where are you favorite places to shop for wide sandals? Share some of your favorite sandals this season below! I need to buy these LB gladiators. They look so cute! So glad there are more options for the wide feet sisters. The Sam & Libby studded pair have been on my list forever. Great picks! They are amazing!!!!! I have a pair and they are so comfy! The Sam & Libby studded sandals are my summer staples this year! I just tried them on in-store yesterday! My calves are too large for them, but they will be fabulous on you! Thanks sis! The Sam & Libby sandals are so comfy! You'll love them! Late to the party but cleaning out my closet because I realized a lot of my sandals tired, dated and ran over! Its funny how you pack something raggedy away! Thanks for posting. I'm sure some of these are sold out (in wide) but great inspiration for next pay day!